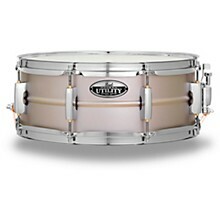 Shimmering, open and untamed, Modern Utility Steel snare drums add bright, cracking tone to your drum set playing field. 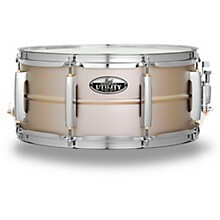 Its 1 mm beaded Steel shell is rolled to ring with open punch when played at full force, and speaks with a crisp sensitivity at lower impact. 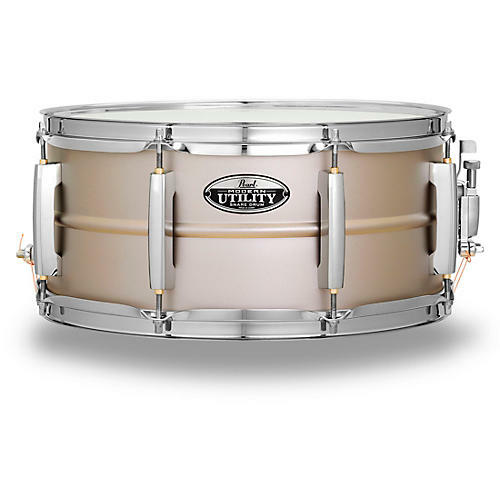 Blasted with a satin textured coating to give it a cool, versatile vibe, it features Pearl's CL arch lugs and smooth SR700 snare strainer for precise tunability.